Hand trauma call on Christmas Eve was always busy. Typical presentations included people who cut their hands with Stanley knives wrapping or making presents, housewives with stab wounds in the left palm, mostly from the knives slipping whilst they were trying to wedge an avocado seed out (use a spoon, ladies! ), or clueless men who cut their fingers trying to open a can without a can-opener. Work was steady, I had been running between admitting patients in ED (Emergency Department) and operating in theatres all day. I was a junior registrar, only nearing the end of my second year training in plastic surgery. There was not a lot a second-year was supposed to do without senior supervision, however, I had been on this hand surgery team for nearly 12 months now, so I was accustomed to performing routine hand trauma surgery such as infections, lacerations, tendon repairs and simple fractures without calling my senior registrar in. Our on call had two tiers – if I was out of my depth, I was to call the senior registrar (a final year trainee), who usually came in to give me a hand. If he/she needed help, then the consultant plastic surgeon on duty was called for either over-the-phone advice or had to physically turn up at the hospital. The nurses and other doctors could also bypass the junior registrar to call either the senior registrar or consultant if they felt that the junior was out of his/her depth, or doing something that may have not been in the best interest of the patient. Rarely, the consultants were required to be on site, apart from major complex hand trauma cases, which luckily were far and few in between. This was because our country had very strict firearm laws, motorcyclists also had to wear protective gloves by law and it was illegal to buy fireworks and firecrackers without a licence. The senior registrar I was on call with was two weeks short of becoming a consultant. He had just passed his specialist exams and was finishing off his final rotation. Throughout the year I had been on call with Peter several times, and I knew he did not like to operate late at night. I had learnt to book all the more complex cases in the mornings and avoided doing procedures I was not comfortable with at night in case I needed him. As for the consultant who was on call over the Christmas weekend, Dr H, he lived by the motto: ‘Don’t be afraid to cope’. His phone was only to be used for nothing short of life and death. He never came in on call, unless the patient had private health insurance and was willing to pay for their surgery. It was unheard of for a junior registrar to call him directly, we valued our lives too much. Back to my Christmas Eve, the day was progressing smoothly – at one stage, it looked as if I may even get home for Christmas Eve dinner. As I was writing up the last operating notes for the day, my pager went off. The tone indicated that it was a trauma call from ED. Probably another car accident. Guilt flooded me, but I couldn’t help smiling. This meant that no other cases could proceed unless it was life-threatening, and most likely this particular trauma case, if it made it to the operating theatre, will keep the emergency theatre occupied until early hours of the morning – therefore I could not do anymore hand cases tonight, even if they started piling up in Emergency. A trauma call at 7pm not only meant that I could go home for dinner, but that I may also get to sleep through the night! My steps lightened as I headed towards the ward to see my postop patients before heading home. ‘Oh, Tiff,’ it was the trauma reg on call. ‘Hey, I am so sorry mate, but I think this one is going to be all yours. You are going to love it, consider it my Christmas present to you.’ An evil chuckle followed. I raised an eyebrow. We rarely get involved in trauma calls. Even if the patient had concurrent hand injuries, we only ever get the call a few days later when their main injuries have been taken care of. I sighed, ‘I am on my way.’ With heavy footsteps and visualising all my evening plans disappear above my head in an imaginary puff of smoke, I headed to the elevator. My colleague was not wrong. The patient was cleared of any serious injuries. The only trauma he suffered was that to his right hand. Mr D was a 65 year old right handed, retired lawyer. 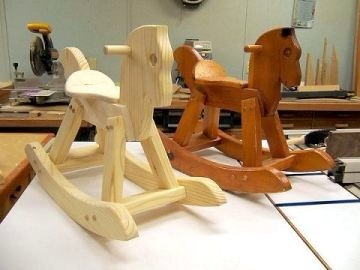 He was finishing off a rocking horse he made for his 6 year old grandson. He found the handle a little loose, so decided to re-fashion the rounded piece. However, when he was trimming it with a bench-top mounted circular saw, the wooden rod slipped and he ended up putting all four fingers through the saw instead. They were all taken off at base and was handed over to me unceremoniously by the nurse in a plastic bag. After meeting the fingers, I went in to introduce myself to Mr D, noting that his injured hand was wrapped up firmly like a boxing glove to try and stem any bleeding. I looked at his x-rays of both the hand stump as well as amputated parts to assess both the level of amputation and the metal work that may be required to reattach the digits. After having had a serious chat with Mr D, I took the bag into another room and laid all four amputated fingers on the bench top. Then I took a marker and printed on each finger which ones they were. I checked the amputated ends and silently offered a prayer of thanks that the saw was high speed and sharp, as all four fingers showed clean guillotine-type amputation rather than avulsion-type injuries associated with slow oscillating saws. The latter usually involved more extensive injuries to tendons, nerves and vessels which often make replantation difficult with very poor outcomes. Even though the prognosis was looking good for Mr D, my heart sank. Replant surgery took hours to perform; one finger alone could take up to 4 hours, and I was looking at 4 fingers. There was no contraindication for me not to replant any of the fingers, as all of them looked clean-cut and despite his age, Mr D was otherwise fit and healthy, thus suitable for a long anaesthetic. I checked Mr D’s details and smiled when I realised that he had private health insurance. Dr H would love this case, it was well known that replantation of a finger was well-paid by insurance companies. Remuneration for four fingers would be equivalent to almost a whole year’s private school fee for one child. I picked up the phone and rang Peter. He was also glad to hear that the patient had private health insurance, and promptly asked me to ring Dr H. I protested, as it wasn’t appropriate for me to contact the consultant directly. Peter said that since Dr H will have to come in to do the surgery anyway, there was no point for him to see the patient, and if he hadn’t seen the patient, he didn’t know enough details to talk to Dr H. He told me that Dr H would be pleased to hear from me. I was naïve and believed him. So I rang Dr H. At 8pm Christmas Eve. To say that the conversation was unpleasant would have been an understatement. Dr H was livid that I had contacted him. He told me that he was having Christmas Eve dinner with his family and had no interest whatsoever spending the night operating. He was not interested in the patient’s insurance cover, and if the patient had presented at a public hospital, then he was to be treated as a public patient by training registrars regardless of his insurance status. Dr H then told me that under no circumstances was I to call him again directly, especially about this case. I could almost hear the phone being slammed down when the disconnection clicked in my ears. I called Peter, as this is going to be a major complex case, so he had to come in. There was no way I was expected to carry out this surgery on my own even though I have read this procedure in detail and knew the basic principles. In practical terms, however, I had only seen two similar cases performed before and assisted in one. This was definitely not an operation that followed the rule of surgical training of ‘see one, do one, teach one’. Only the most senior of trainees were allowed to perform it unsupervised. When I told Peter about my conversation with Dr H, he swore and made disparaging comments about lazy consultants. He then told me that he was having Christmas Eve dinner and he couldn’t possibly get away, so I would just have attempt the surgery on my own. I almost dropped the phone in shock, and protested that I was too junior to take on such a case. He told me that he is more than happy to talk me through it and give me advice on the phone, but he could not physically come into the hospital. I glanced at the clock as we were talking and realised that it was nearly 8.30pm. This meant that warm ischemic time for the fingers was over 2 hours now (as his injury was around 6.30pm). Warm ischemic time referred to the amount of time the fingers had been without blood supply while it was not on ice. If the fingers were to have the best chance of survival, they needed to be reattached within 6-8 hours of warm ischaemic time. Whereas cold ischaemic time could be extended to 24 hours. However, there had always been controversy associated with reperfusion injury and poor nerve regeneration with prolonged cold ischaemia. I knew that staying on the phone arguing with Peter was delaying Mr D’s treatment, so I finally acquiesced to Peter’s request (much to his relief), and finished the phone call. I quickly documented both phone calls in Mr D’s chart and then rang theatres to let them know that he was coming up for a very long surgical procedure. While the transfer was taking place, I went to the office and pulled the hand surgery books off the shelf (this was before Google days). I quickly familiarised myself with the chapter of replantation again. Then I took the bag of fingers with me to the operating theatre. The nurses were still preparing equipment and the anaesthetist was just starting to put Mr D to sleep, so I set up an operating table in the corner, cleaned and tagged all the nerves and vessels at the amputated end with micro-sutures under the microscope, to save me time later on looking for them. I knew I only had 4-6 hours to re-establish blood flow into these fingers. I also knew that if I did not plan this well, it would be at least 12-16 hours before I could get them all perfused, as normally it would take around 4 hours just to complete a one-finger replantation. So I devised a strategy in my head, part of which included planning ahead. Firstly I made sure all the equipment I required were ready to go, then I got a bucket of ice and put the fingers (wrapped in plastic) in it. I was trying to buy an extra hour or two by swapping warm ischaemic for cold ischaemic time. As soon as the patient was asleep, I inflated the tourniquet on the patient’s arm, to stop any blood flow into the hand so that I could work in a bloodless field (and see what I was doing more clearly). I prepared the stumps on the hand and again tagged all structures under the microscope ready to be joined to the other end. Then, under x-ray guidance, I reattached all of the fingers with wires to realign the bones. This was achieved within 2 hours. Then I had to let the tourniquet off, as stopping blood flow to the arm for more than two hours could cause muscle damage in the arm and hand. Often if we needed to have the tourniquet on for more than 2 hours, we allowed blood reflow for 15 minutes between each tourniquet period; this was sufficient to minimise any lasting damaging. So I wrapped the hand tightly in a bandage to prevent excessive blood loss and un-scrubbed for quick coffee break while the tourniquet was down. I knew that for me to work efficiently, I needed to be alert at each stages of surgery, so I deliberately planned to use these reflow times as my breaks. After 15 minutes, I spent the next 2 hours of tourniquet time repairing the tendons. There were two tendons in each finger, so that meant repairing 8 tendons altogether. Unfortunately when the tendons were cut under tension (as it was when one’s hand was gripping an object), the tendons retracted into the palm. Luckily I had thought of this during my stump preparation earlier on (while the fingers were on ice), thus I had already dissected out each tendon and pulled them back out, ready to be reattached. At this point, I am sure most of you would be wondering why I didn’t join up the blood vessels first – if re-establishing blood flow into the fingers was so important to be done in a timely manner. Well, the reason was that both the bony and tendon work required a lot of retraction and manipulation of the fingers. If I had rejoined the blood vessels first (which were around 1-2mm in diameter and the threads we used to sew them together were thinner than human hair), then any traction or movement would have easily disrupted the repair. The repairs were also too frail to hold together unless there was some form of structural stabilisation of the fingers. The easiest way to explain it would be to equate it to constructing a building; one wouldn’t put the plumbing in place until the walls, beams, struts and foundations have been established. Once all eight tendons were adequately joined, it was time to let the tourniquet down again. This was perfectly in plan with joining up the arteries (which brought blood flow into the fingers). Each of the fingers had two of everything, two arteries, two veins (vessels which allowed blood to flow out of the fingers), and two nerves. Arteries were best joined when the tourniquet was off, as blood flow often dilated these tiny vessels, thus made it easier to identify and place the stitches. I worked furiously under the microscope, with the aim to connect up only one artery in each finger as quickly as I could, thus to re-established blood flow into them within 8 hours of total ischaemic time. I breathed a sigh of relief when all four finger became pink on the table. I looked up and it was just before 2am. Then, at a less pressured pace, over the next 4 hours while the fingers were happily alive, I connected up the rest of the arteries, veins and nerves. Unbeknownst to me, during those 10 hours as I was working quietly away, phone calls were being made outside. The nurses and anaesthetic staff were aghast that a second year trainee was attempting this procedure alone. The operating theatre nurse manager called Dr H and told him that I was performing the case on my own. Dr H told her that it was Peter she needed to ring. Peter was rung, and he told them that I had said I was happy to do the case alone and did not need him. He reassured her that he would have come in if I was having trouble. The nurse manager did at one stage poke her head in and asked if I was ok, and I just assumed it was a courtesy visit so I told her I was fine. Peter then rang the operating theatre about midnight to ask how I was going, he spoke to the nurse who picked up the phone. The nurse offered to put me on to speak to him directly, he declined. Apparently he didn’t want to speak to me and just wanted her to pass on a message. The message was that he was about to go to bed and if I was struggling, or feeling tired, I was to put whichever fingers I hadn’t attached back in the fridge on ice and rebook the patient for surgery tomorrow so that he could reattach the remainder fingers in morning. I snorted at the message in a very unladylike manner (much to everyone’s amusement as it matched their sentiments exactly) and kept going. No one made another phone call after that. So the fingers lived. Mr D had the full hand of fingers to compliment his uninjured thumb when he left hospital 5 days later. He had a long road of rehabilitation ahead of him, but he was thankful that we managed to save all of them. I got called into the office by the Head of Department (HOD) on that same day as Mr D was discharged. The HOD had received an incident report from the Nurse Manager about how inappropriate it was for such a major complex case to be done by a junior doctor alone. I received a thirty minute lecture about biting off more than I could chew as a junior trainee, followed by another fifteen minutes on learning to know my limitations and recognising the need to ask for assistance. A few days later, at the end of my last clinic with the team, I saw both Dr H and Peter being pulled into the office with the HOD. I asked the nurses what was going on and they told me that the HOD saw Mr D’s chart in clinic and asked them why this patient was in a public clinic when he was privately insured. All the nurses avoided giving him an answer so he flipped through the admission notes himself. Tiffany improved well above her training level as a second year trainee during the last 12 months. She showed initiative in difficult situations and exhibited good insight in her abilities. She demonstrated natural aptitude in microsurgery. I would strongly recommend her for ongoing training with any plastic surgery unit. Peter became a consultant and moved in with Dr H as his partner in private practice.